Lunar Wraith Caitlyn is a legacy skin and isÂ available for 1350 RP until February 8th, 23:59 PST. Lunar Wraith Morgana is a legacy skin and is available for 975Â RPÂ until February 8th, 23:59 PST. Radiant WukongÂ is NOT a legacy skin and is available for 1350 RP. Note that all these bundles will be available until February 8th, 23:59 PST. The revelry continues at the Riot Games Merch store with the Firecracker Jinx figure and more. Discover six mystery discounts on champions and skinsÂ unique to you, available in Your Lunar Revel Shop. As the year passes to the next, celebrate brighter beginnings with 2x the chance to unlock Legendary and Lunar Revel skins with Lunar Revel Mystery Gifting. Base Movement Speed decreased from 330 to 325. All changes in this PBE update have been reverted to live status. Ability Power increased from 45Â toÂ 50 [ revert on the change in this PBE update ]. Cooldown Reduction decreased from 20%Â to 10%Â [ revert on the change in this PBE update ]. Lunar Revel has begun! Check the official promo site for all sorts of goodies, including full-resolution wallpapers of the new splash arts! Dragonblade Riven returns to the store and costsÂ 1350 RP. Warring Kingdoms Tryndamere is also available for 975 RP. Firecracker Jinx is now available in store forÂ 975 RP until 23:59 PST on February 16 and will afterwards be available for 1350 RP. For her recall, Firecracker Jinx… fires firecracks. Warring Kingdoms Kata is now available inÂ store for 975 RP. For her recall, Warring Kingdoms Kata throws one of her knives high in the air, catches it and spins it around between her fingers. Warring Kingdoms Nidalee is nowÂ available in store for 975 RP. For her recall, Warring Kingdoms Nidalee spins her spear over her head and then rotates it clockwise along the ground. In her kitty form, Nidalee chases around a ball of light and leaps after it before recalling. The Firecracker Ward SkinÂ is now available in store for 640 RP alongside some returning wards fromÂ pastÂ Lunar Revel events. Firecracker wards have a neat smoke animation when they’re placed. Available in the League of Legends store for 250 RP until February 23. Bestow a Lunar Revel Mystery Box or a Mystery Chest on a friend to collect the Year of the Goat icon. Note: All the wards and icons in the Year of the Goat, Horse, and Snake bundles are 99% off thanks to Jinxâ€™s wanton disregard forâ€¦ stuff. Year of the Goat Set -Â 2933 RP (5488 RP if champs needed) through February 16 then 3308 RP (5863 RP if champs needed) through February 23. Here’s a fan-made idea for player profiles in the lobby. You can find the original thread here. And here’s Debonair Caitlyn, drawn by Hylia (NA).Â You can find the original thread here. Here’s Ohnips‘s idea for a Valentine Sona skin. If you like her work and want to support it, check out her envy store here. Kat changes didn’t quite do what we’d hoped so they’ve been pulled for now. Might get revisited at some point, no definitive plans though. Veigar and Morde changes are tentatively scheduled for 5.4 – they’ve proved to be tougher jobs than originally hoped. Shifting him to more of a sustained damage dealer, less of a burst character (better match with a tanky champ, play up the teamplay on both sides from someone being tagged by his ult, rather than just having someone vanish in a cloud of damage and a Ghost appear). Current intent is that he’ll still build AP and be based around his spells, but will live longer/kill slower. Odds are very high Veigar won’t just be straight buffed. His kit’s got some serious counterplay issues (undodgeable instant stun when used right, two point and click nukes) that we need to address. Bundled with counterplay improvements though should be some better tools for Veigar himself (e.g. less binary tools, so he’s got better options in tough lanes, lower mana costs, lower CDs, bit more range on some stuff etc – note these aren’t set in stone changes though, just possibilities). With you on the megalomania feel, and we’ve got no desire to change that. As above Veigar’s got some counterplay problems. We want to make him healthier to play against, so it’s ok if he’s strong, rather than buffing him only to feel we immediately have to nerf him because of how he can be to play against. Q as skillshot’s one of the things we’re trying, not sure if it’s currently on the kit in testing or not. Giving E a brief delay to play up the ‘where do I stand inside the cage?’ aspect, and then potentially increasing its range or lowering its CD’s also being investigated. @moobeat @MarkSKEBr Working on it! It won’t be in 5.3, but we’re trying to get it out quickly (but only when it’s ready). 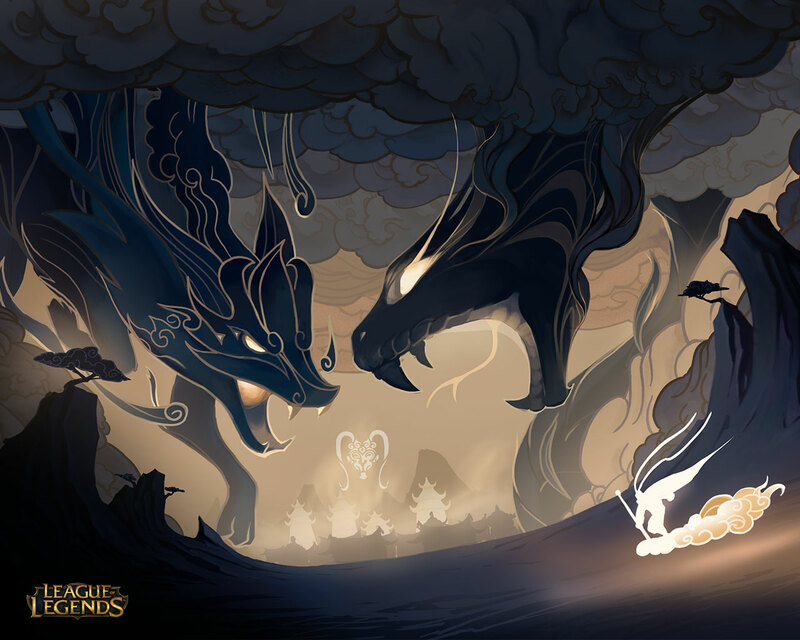 As stated in the 5.2 patch notes, the Lunar Revel skins will be coming out in patch 5.2. You can find a preview of Firecracker Jinx here. She’ll be sold in the store for 1350 RP. Warring Kingdoms Kata will be available for 975 RP. Check here for a preview. Warring Kingdoms Nidalee will also be sold for 975 RP and you can find a preview of her here. Work-in-progress! [ Note ] DJ Sona is unavailable at the moment. DJ Sona is an ultimate skin, meaning it’ll be sold in store f0r 3250 RP. PBE’s up but DJ Sona is not available. She’s currently being bugfixed. [ Note ] I’ll cover DJ Sona in a separate PBE article when she’s re-enabled in the store and with all her songs. PBE: Heartseeker Ashe Splash, Lunar Revel Votes, News on Rengar, IronStylus talks Reworks and Visual Updates, List of â€œWantsâ€ for the Rift and Fan Art Showcase! Currently, the League system allows players to rapidly move up the ladder if they’re playing at a high skill level. In some rare cases however, players were entering their promo series and facing off against unusually difficult opponents. Weâ€™re introducing a change that allows players to skip their promo series up to Platinum I if they continually play at a skill level a full tier higher than their current league placement. Vision Wards will now properly provide true sight to an enclosed area when placed in front (ie: dragon pit and Baron pit). The Path of Truth leads NA. 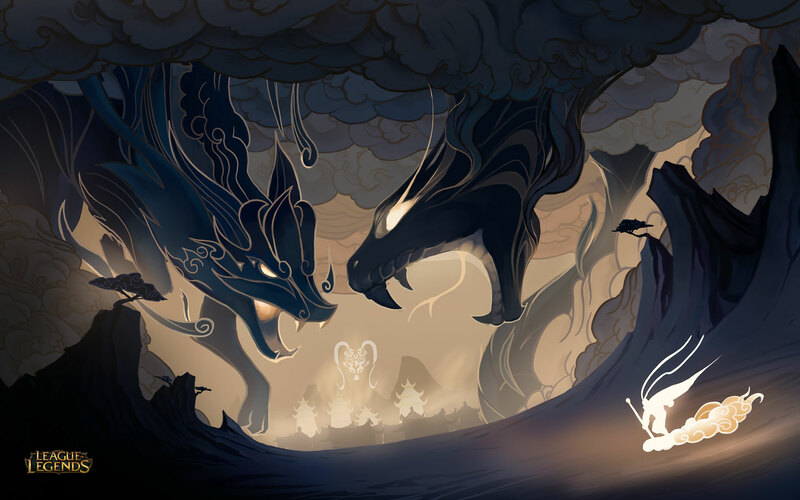 Have you cast your vote for the warriorâ€™s path your region will follow in 2014?Â Head to the Lunar Revel experienceÂ now to make your voice heard. Is the path you want to walk not in the lead?Â Share your choice with your friends and add their voices to yours! What’s happening to Rengar? And other Champions in need of work? Â RiotScruffy:Â Don’t want to leave you guys hanging for too long. Just coming to update and say that we are doing small iterations and testing Rengar daily. -We’re tuning lots of numbers to get his laning, ganking and late game power in a reasonable place. We’re moving at a good rate with him and I’m still checking this thread for all of your feedback. Don’t you think Ferocity expiring after 10 seconds is too short for Jungle Rengar to gank effectively? Â RiotScruffy:Â Ya, after some testing 10 seconds did feel a bit too punishing. Right now he has 12 seconds, and it’s based around combat instead of Ferocity gain. With those changes, it’s pretty reasonable to keep the Ferocity going as long as you keep yourself in combat. How will Bonetooth Necklace upgrade? Â RiotScruffy:Â I’m leaning towards having it upgrade with the kill stacks. So 6 kills gets the +1 vision upgrade and 9 or 14 gets the +2 vision upgrade. Â RiotScruffy:Â Hello Rengars. Two things to talk about today. 1. I’m trying out a unique vision active for the bonetooth trinket: Rengar places a trap that triggers when an enemy walks within its radius (~200 unit radius for testing). The unit is revealed with Rengar’s heat vision for 10 seconds. His first attack against the revealed target will cause him to leap. 2. Lets talk about the ferocity change because I’m seeing a lot of comments about it. The goal here is that we do want Rengar to start fights and ganks at 0 Ferocity, but we have given him a lot of changes to compensate for this change. His E now has a stronger slow that does not decay over time (this is big). Also his ferocity bonuses on all 3 basic skills are buffed so that when he does reach full ferocity, he is rewarded with a big finisher. I really appreciate the feedback you all are giving in this thread, Rengar is really going to be sick when we’re through with him. Â RiotScruffy:Â Honestly we would like to make improvements on so many champions (Viktor included), but right now he is not an active project. It is definitely noted that there are so many people interested in and hoping for some Viktor changes. Will Gangplank get any changes soon? Â RiotScruffy:Â Gangplank is actually someone that we are working on, so yes! We will start talking about him in the future, but he’s still in the early stages. Is Kassadin being worked on? Â ZenonTheStoic:Â We’ve got plans for Kassadin. Statikk is on the case. There’s no ETA for them yet, but I’m quite hopeful. the TL;DR is to force Kassadin to spend more time in melee range if he actually wants to do damage. I’ve watched some internal playtests and the direction is definitely sound. Â ZenonTheStoic:Â Champion Design and Core Gameplay are two different teams, but we’re very close to each other. We sit literally right next to each other, we regularly have conversations about pretty much anything, and Rioters move back and forth between the teams. As for a champion’s balance: pre-release the champion designer works with a balance signoff from core gameplay to make sure the champion’s about as balanced as it will get. Ideally the two work together early in the champion’s conception, identifying patterns that will or won’t be healthy for the game rather than just tweaking numbers on a completed kit. In my case with Lucian, I trusted Scarizard to make a lot of the calls. He even suggested some of the pattern changes that made it into the kit. Post-release, game health is theoretically in core gameplay’s domain, but I can tell you that designers are very attached to their champions and normally the first to be vocally unhappy when their champion is OP. Pretty much all of the nerfs to Thresh came from CertainlyT directly, for instance. Core gameplay will look at those and say, yep, that’s pretty much what we would have done, playtest the change in their competitive games and then sign off on it. In the case of Lucian, I’m still unhappy with how unavoidable his Q is and how player expectation does not match raw damage output of his R, so I’m finding some ways of addressing these, once again with Scarizard’s help. Our favourite concept artist stops by the forums to give clarity on the Rework team, Visual Updates and why trolling is bad when criticizing. Why not hire more people to do Reworks? Follow-up: Why not create a second team focused on Champion Reworks then? Â Â IronStylus:Â Ideally that’s what we’d want I think. Champion right now has enough resources to stagger productions. They use “pods”, or teams that see a character all the way through concept to production. Right now Relaunch is basically equivalent to one of those pods. Having multiple pods would allow Relaunch to up cadence. We’ll see. Sometimes we swap resources in and out, or sometimes people jump onto a different character or skin that they’re interested. Certain resources are fluid. Some hiring might help, but to actually accelerate we’d need specific artists especially in the realm of technical animation/rigging and VFX where some bottlenecks lie. Sooo… let me know if anyone of you guys does any of those things! Is Twitch getting any sort of updates? Â Â IronStylus:Â He certainly does need a VU. If you’re working on a Kayle VU, will she keep her helmet? How do you handle Skins for Champions who have received a VU? Â Â IronStylus:Â What we do is we take the existing skins and usually just update them to fit the geometry of the new model. Generally, like in the case of Master Yi, we changed the recolors to add some new geometry and details so that they weren’t just texture swaps. If the champion is sort of new, we might just take the old skins and stretch them over the new rig, like in the case of Sejuani. For the most part, the skins don’t change too terribly much. How do you sync up VUs with Balance reworks? Â Â IronStylus:Â What we’d like to do going forward is always package reworks with VU’s when applicable. Ideally, yeah, I’d have liked to do something with Xerath but it simply wasn’t in the time table. Similar to Heimerdinger. Hit kit rework had to ship before any sort of VU could be on the table. It just wasn’t feasible to ship together. We sort of have a separate initiative to add recalls and other such things to the champions, but that;s more of a “side project” for some guys on animation. Going forward though, we’re trying to ship stuff together. So that it’s not a piece at a time. We’re still not yet quite caught up with that cadence though. Any Texture Updates coming soon? Generally TU’s are sort of what 3D artists work on for a “break” or personal project. They just happen to be so good that we ship them as content. It’s sort of a tertiary initiative in Relaunch, but doesn’t exactly have a dedicated resource assigned to the effort. As for base Quinn touchups, probably no time soon. But who knows. Maybe I can try a texture update on her and treat is a TU for practice. We’ll see. If you’ve been moved to the VU team, does that mean we won’t see any more Champions designed by you? Â Â IronStylus:Â Welp.. I’m concepting a bunch of champions, but it’s no guarantee they’ll ever see the light of day. I’ll probably have more work shown off through relaunch stuff in the meantime. My work has shifted a bit. Now I sort of shepard the concept phase of Relaunch, but I’ll pick up concept work on Champions and Skins. But since there’s already a lot of champions plotted out for this year, I’m mainly taking time to hone my 3D skills so I can offer more help to the Character team. Also, I’m trying to help in prototyping, giving us a way to visualize character creating in game rather than doing so much polished concept work. That’s sort of a separate thing. All that said, You might see something from me later this year, but that’s only a small possibility. There might be some of my stuff in the 2015 lineup. We’ll see! Â Â IronStylus: Pretty much this. This is the philosophy I abide by. I’m not going to address negative feedback which is delivered in a toxic, non-polite fashionÂ even if it doesÂ have valid points. If those points are buried in vitriol, it automatically is passed by. That’s just my policy. I don’t have time to address rudeness, period. If someone gives me feedback which disagrees with what we’re doing, is phrased politely, presented rationally, and gives me the same respect I’m giving others, then I will approach it. We may completely disagree, we might never come to consensus, but it will remain civil and respect will be maintained. At least a discussion will be had. There are too few hours in the day to be throttled by feedback that’s wrapped in anger and negativity. It’s a time sink for all of us. To have that negative feedback, presented by those negative individuals, given equal weight as those who take the time to center their emotions, compose their posts politely and engage in a discussion that is mutually respectful, is unfair. I will have no problem seeing vitriol decrease. You will have more dev presence if it does indeed decrease. Which do you want? Negative feedback that’s presented in a toxic way having equal weight as negative feedback presented in a positive way and the dev presence fall off, or constructive and possibly negative feedback, presented politely and rationally, treated as higher value and encourage devs to interact? I know which behavior I’ll be responding to. Thanks for the discussion on this topic. There’s a lot I can take back to the community dev team and hopefully we can incorporate some helpful features. I appreciate the passion, feedback and suggestions. Time to move on to some other business. A summary of features Summoner’s Rift is currently lacking. Anything you’d like to see that’s not on the list? Share in the comments! What on SR needs changing? Â RiotForScience:Â I am going to try to talk our audio guys into visiting this thread to solicit feedback. Moving forward with condensing feedback here is the next block of issues. Again points without asterix are basic great ideas. Ones with asterix are things that I need to give some clarity on. Concerning the idea of flipping golem camp. Stone Bros serve a function of allowing additional farm when your lane is pushed. However, due to the meta this gives a distinct advantage to duo-bot lanes. Part of the reason why we added the Wight-camp is to mitigate this concern. Hopefully we solved the problem, but not in the way you were expecting. Concerning the forum background illustration. I have written about this quite a lot. This image was created without the context of gameplay concerns so is not the best basis for a hypothetical new iteration of the map. It is crucial that all of our content be very readable and clear. This image is beautiful, but does not do what we need. “there needs to be SFX for walking through grass or water” Yes, absolutely… eventually… I read on the forums about how players can get frustrated by how long it takes us to add pretty simple tech to our game. The simple answer is that there is a “Tech-debt” backlog that needs to get cleared before we have the capacity to add new features. This one is a no-brainer and will be a very high-priority… when we can get to it. “The terrain could get more worn as the game progresses” A cool idea, I love how it would help create an evolving game narrative. However, it also has gameplay interaction that would need to be thoroughly tested. Also, we have some optimization tech that might make it really difficult to do that. Trees should wobble when you shoot a skillshot through them” This is obviously a lower priority than having really awesome looking trees to start with, but I could see this as being a fun thing to do. You would still have the same suspension of disbelief issue when a skillshot penetrates a non-tree object like a rock or building though. In the upcoming patch, weâ€™re introducing a new feature called the Summoner Name Clean Up. Occasionally, we go through Summoner names and free up ones that have been inactive for long periods of time. From now on, the Summoner Name Clean Up will be automated. Based on when you played your last game and what your level is, youâ€™ll have a period of immunity from name clean ups. Every name will initially be given 6 months of immunity and then granted one additional month for each level above level 6. If your immunity runs out, your name will become available to other players through the Summoner Name Change option in the store. If you log in after someone claims your Summoner name, youâ€™ll be prompted to create a new one. To be clear, your name may be taken, but your paid content and game history will remain attached to your account. Itâ€™s important to note that non-immune names can only be claimed through Summoner Name Change, and not by new players. This ensures the name will be used by an active player and not someone who decided they absolutely need Trevor, 7revor, and Tr3v0r Tha 5hr3dder. It happens more often than youâ€™d think. To make it easier to snag the alias you’ve always wanted, you can now purchase a Summoner Name Change forÂ 13,900 IP. For players who prefer using RP, procure your new namesake for half off fromÂ January 14 to January 28. With so many names freed up, capture yours today! Lunar Revel Skins – Video Preview! As the Chinese New Year’s approaches we’re once again treated to absolutely fantastic skins. Check out Jade Fang Cassiopeia, Panda Annie, Dragonwing Corki, Warring Kingdoms Jarvan IV and Warring Kingdoms Xin Zhao – all in the video below!